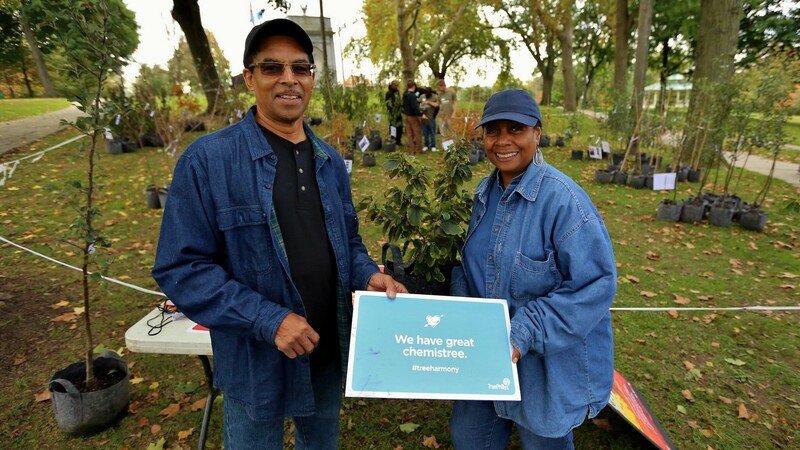 Registration for our fall yard tree giveaways is now open SOLD OUT! Fall is here (really, it is!) and it’s time to plant a tree! This fall there are four chances for you to get a tree to plant in your yard. Choose from 13 different trees, including large shade trees, small flowering trees and fruit trees. Learn more about the trees that we’re giving away this season here. Pre-registration is encouraged, but walk-ins will be accepted during each event, while supplies last. At each event you will learn how to plant and care for your new tree, and you will take it home with free mulch. Yard trees must be planted in the ground in the city of Philadelphia on private property, not in a pot, or in the sidewalk. Pre-registration for the Spring 2016 events is sold out, but participants can come to the end of one of the events listed below to choose from unclaimed trees. Species are based on availability. Find a list of Fall 2017 trees here. REGISTRATION FOR THIS EVENT IS FULL! Walk-ins are accepted at the end of the event to choose from the unclaimed trees. The following community organizations will host their own yard tree giveaways through our Community Yard Tree Giveaway Grant. Please reach out to the organizations directly in order to receive more information about their events. I did not register since the tree I wanted is out of stock. We release more trees every Monday as we delete duplicate registrants, so check back on Monday! Hi Julieta! We update the tree inventory every Monday with trees from duplicate registrations, so every tree is now in stock! Serviceberry and Sweetbay Magnolia are both available. We are currently “sold out” of the Sweetbay Magnolia, but at the end of each event we always give away the trees that were not picked up. If you are available to wait until the end, you are welcome to switch to the magnolia at that time (if available).